Raymond Hue Norton, Sr., age 67 of Laurel Hill passed away Sunday, October 14, 2018. Funeral services will be at 11 a.m. on Friday, October 19, 2018 at McColl Pentecostal Holiness Church officiated by Rev. DJ Byrd and Rev. Dwight Dunning. Burial will follow in Hillside Memorial Park. Raymond was born August 24, 1951 in Scotland County, a son of the late Woodrow Norton and Sarah Thomas Norton. He was the husband of the late Carolyn Powell Norton. 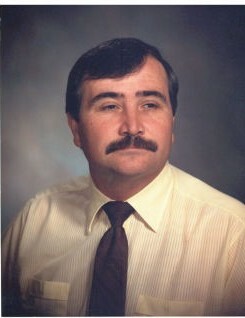 He worked as a mechanic with Springs Mills and retired after many years of service with Scotland County. He was a member of McColl Pentecostal Holiness Church and enjoyed working on cars, doing carpentry work and was an animal lover. Raymond was a real jokester, but he had a heart for helping others in need. He was a dedicated father, grandfather, brother and friend who will truly be missed. Along with his parents and wife, he is preceded in death by his brothers, David Norton and Kenneth Norton. He leaves behind his sons, Marcus Powell (Cambi) of Ellerbe, Raymond Norton, Jr. of Laurinburg, James Norton (Gina) of Cary, Willie Norton of Laurel Hill; sisters, Frances Locklear (Thurman), Deane Pullen (Stephen), all of Laurinburg, Donna Barton (Mack) of Laurel Hill, Sharon Dunning (Rev. Dwight) of Clinton; ten grandchildren, five great grandchildren; a host of loving nieces, nephews and friends and his special K-9 companion, Sawyer. The family will receive friends from 6:00 until 8:00 p.m. on Thursday, October 18, 2018 at Richard Boles Funeral Service.